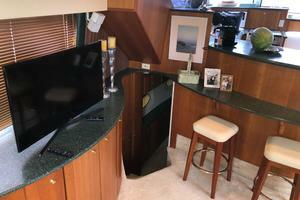 Upgraded TV's throughout w/ custom cabinetry to finish the look properly. 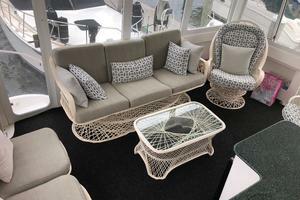 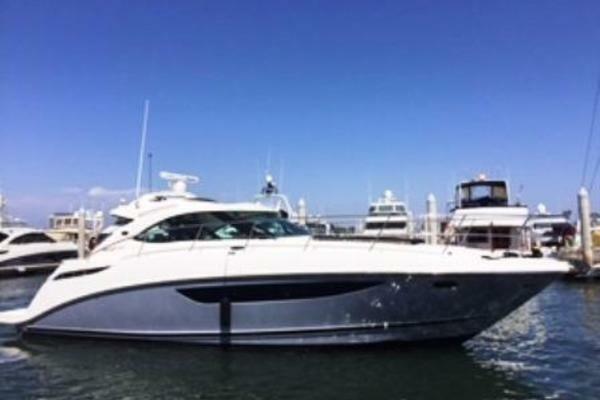 Phoenix Rising is a fine example of the Silverton 453 Motor Yacht. 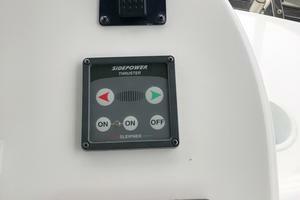 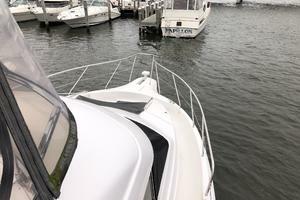 Owned by a knowledgeable and meticulous boater. 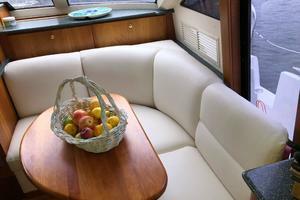 She has received custom touches and good care which is evident everywhere you look. 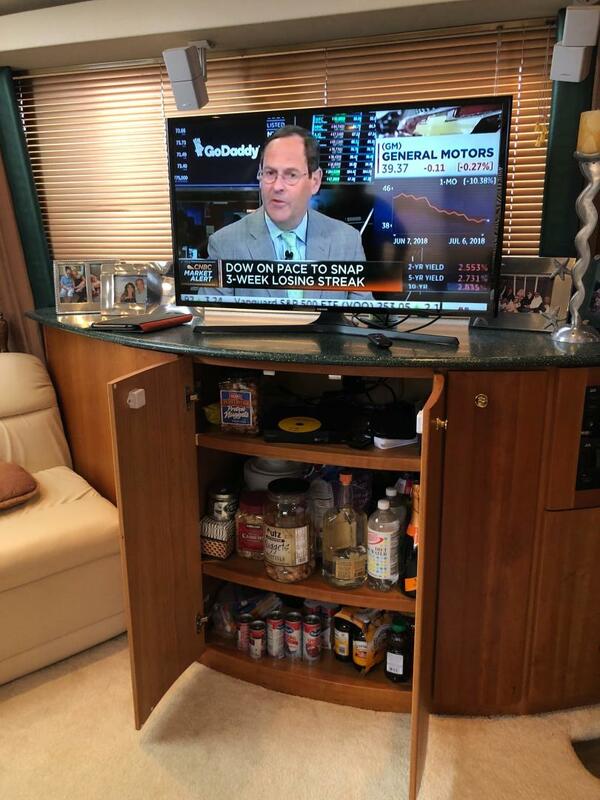 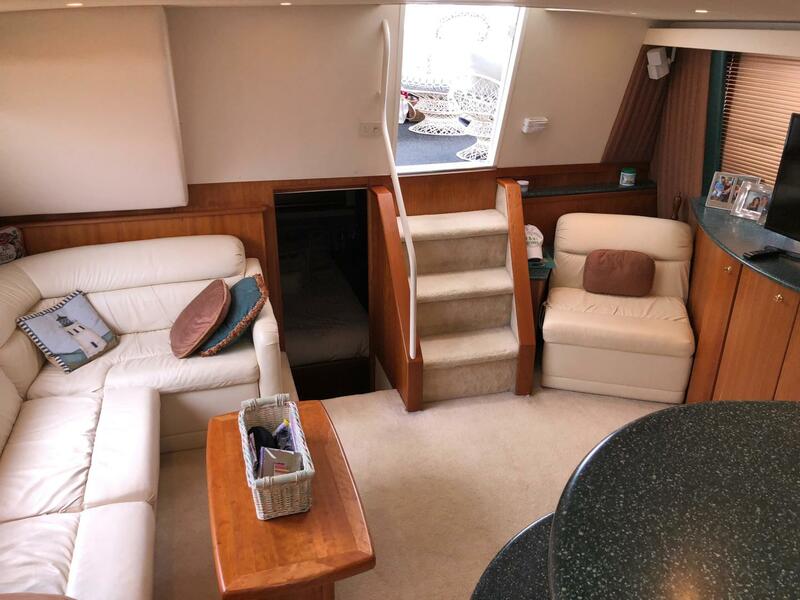 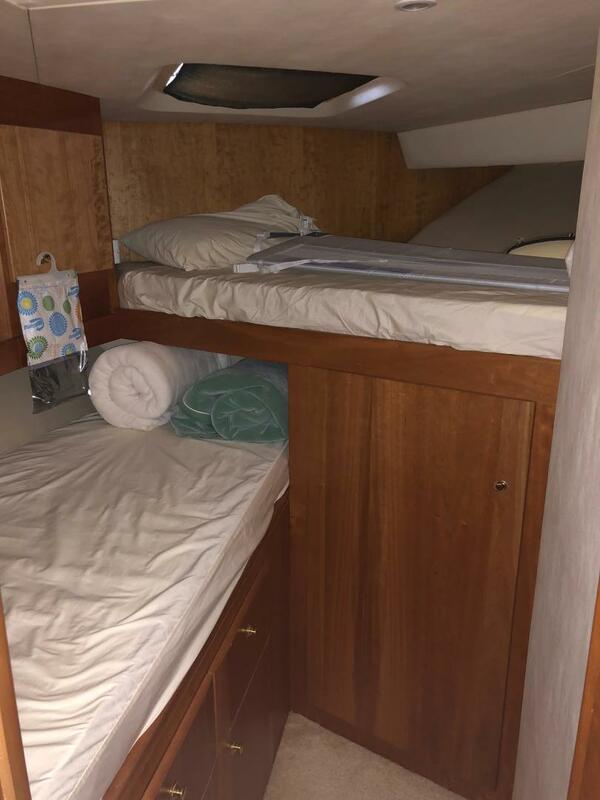 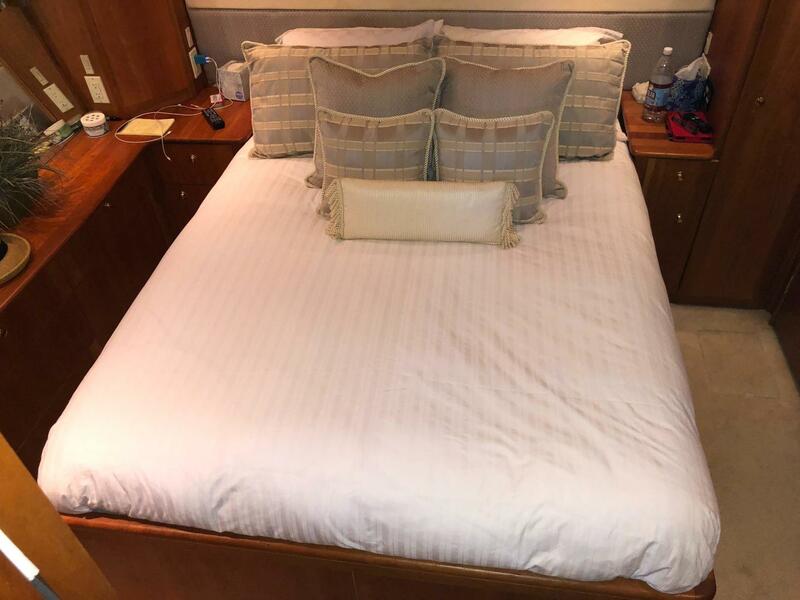 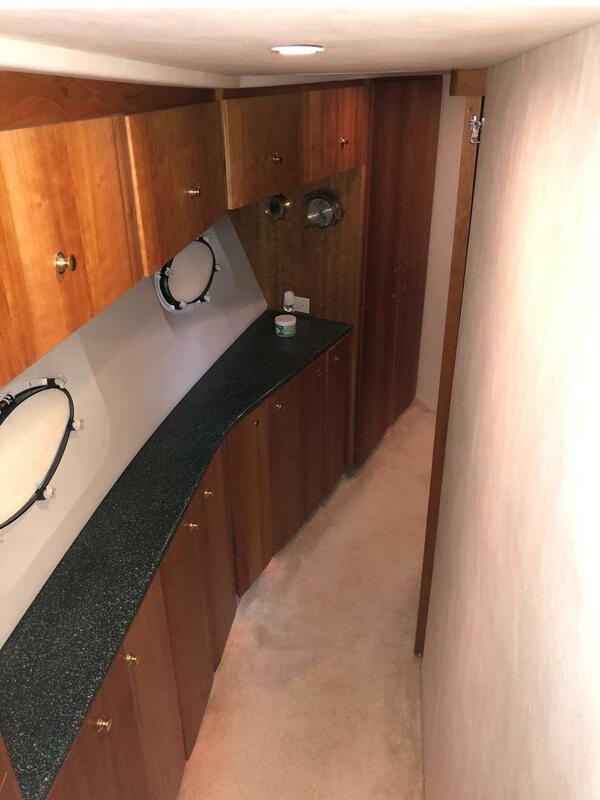 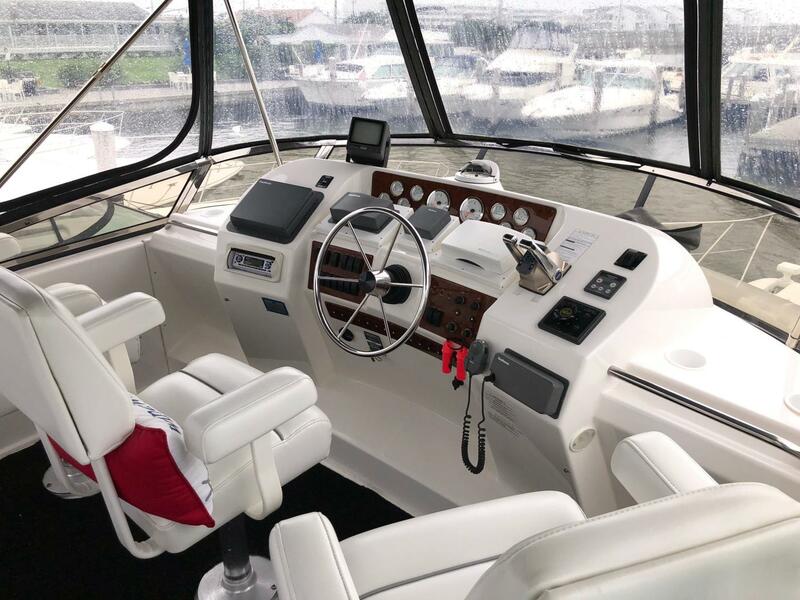 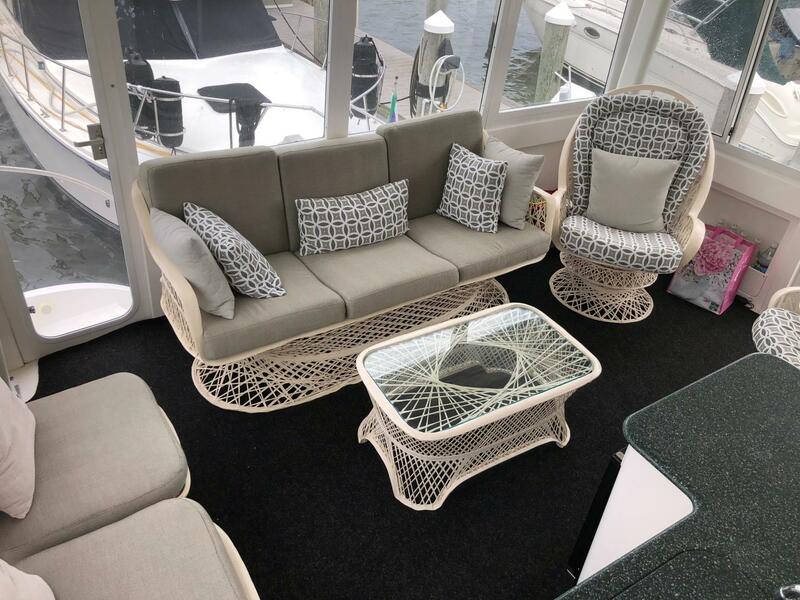 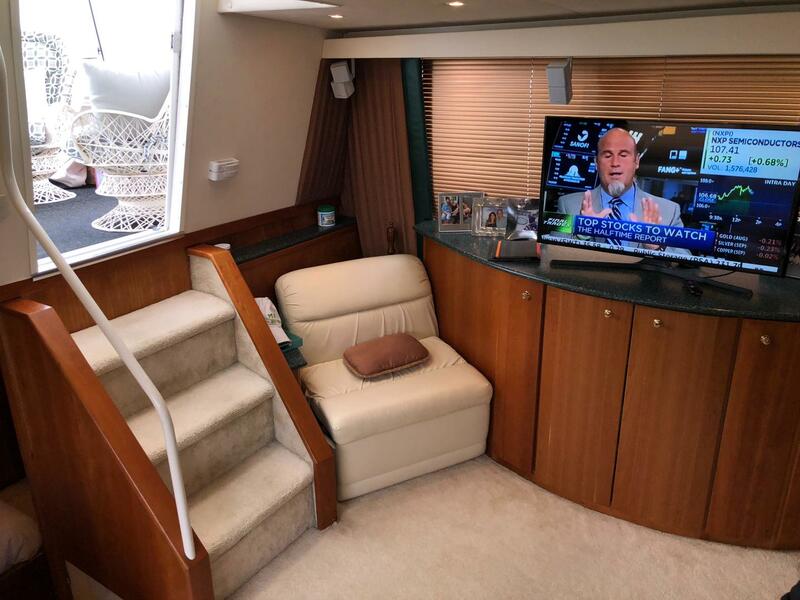 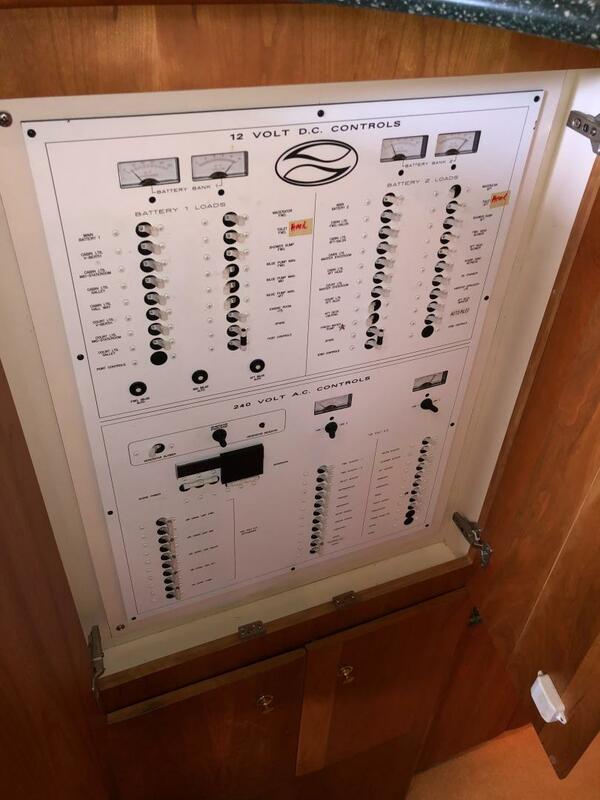 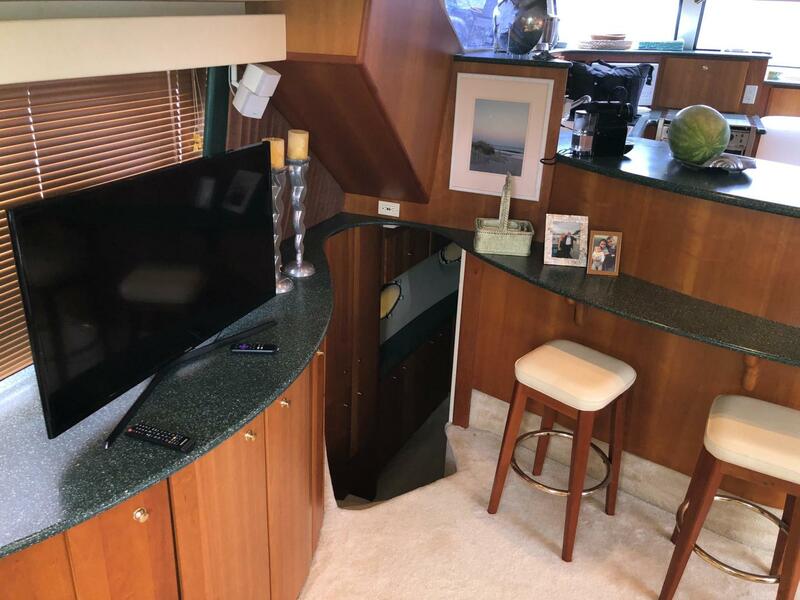 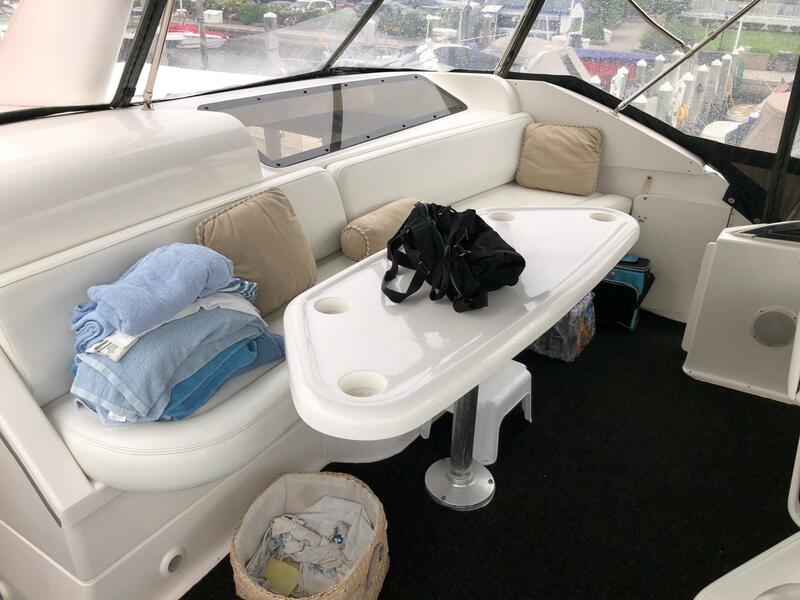 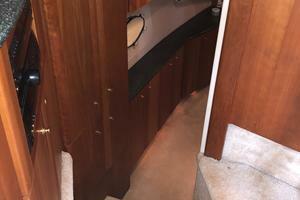 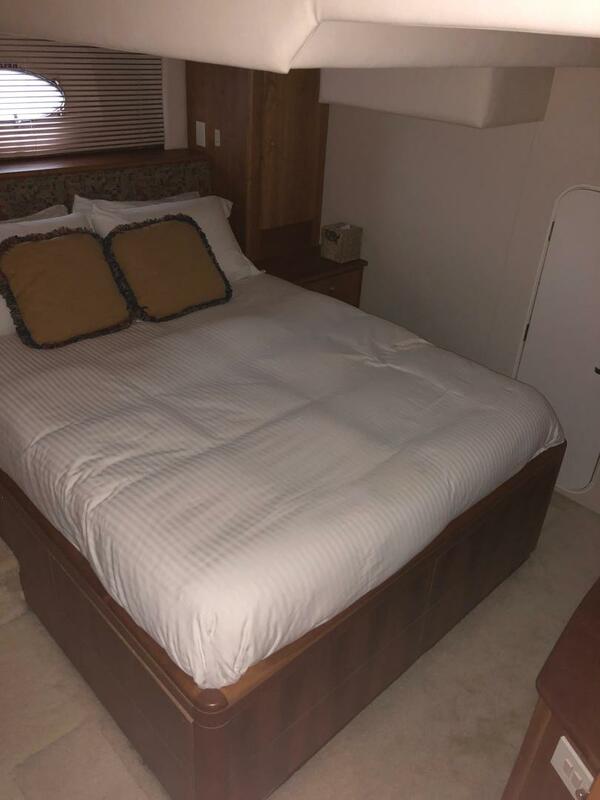 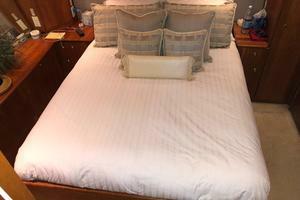 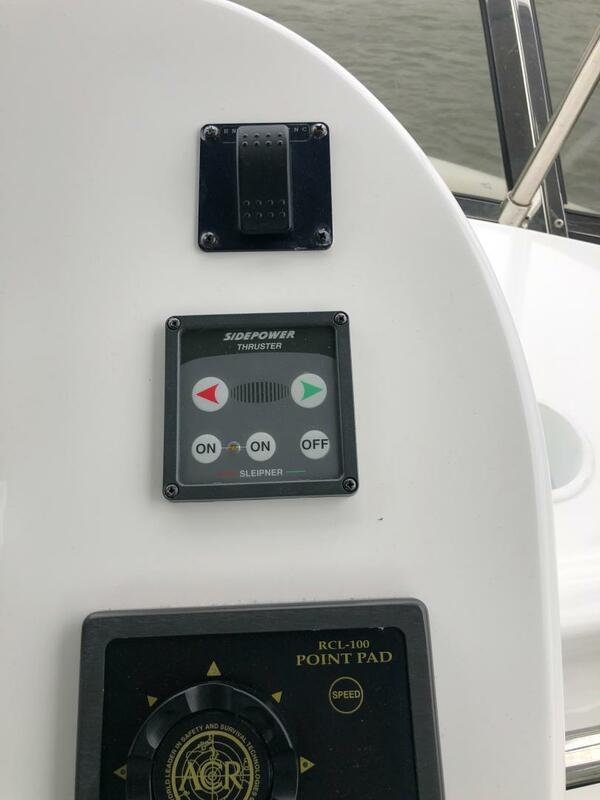 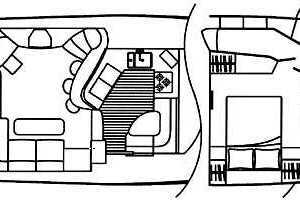 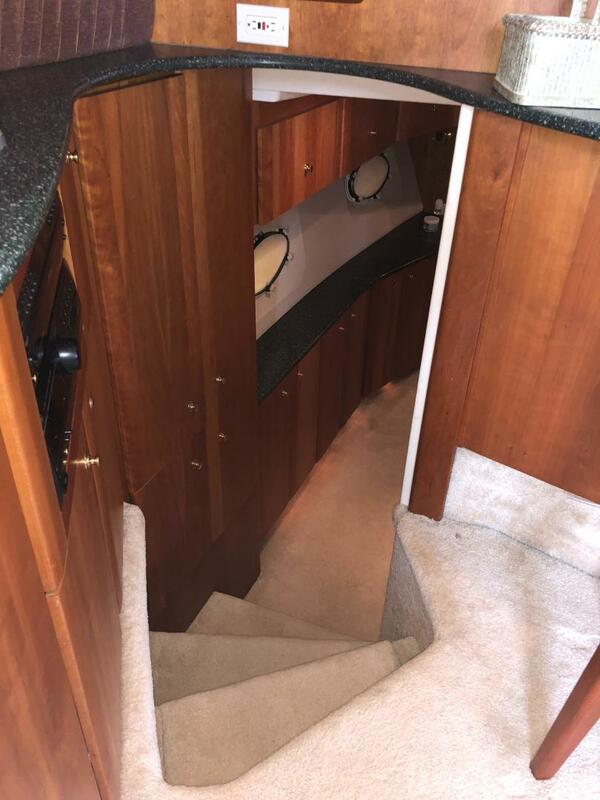 The 3 stateroom / 2 head layout with her roomy bridge deck provides you with the amount of usable space found only on yachts of much larger size. 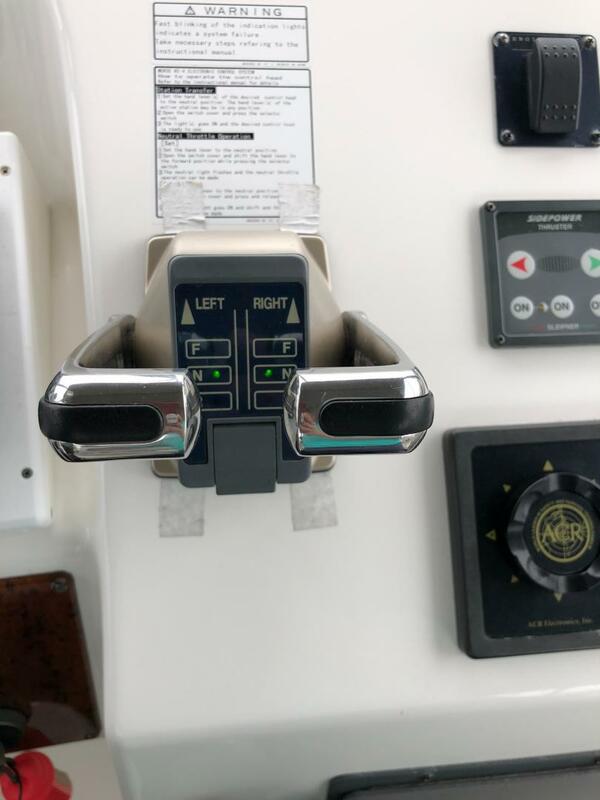 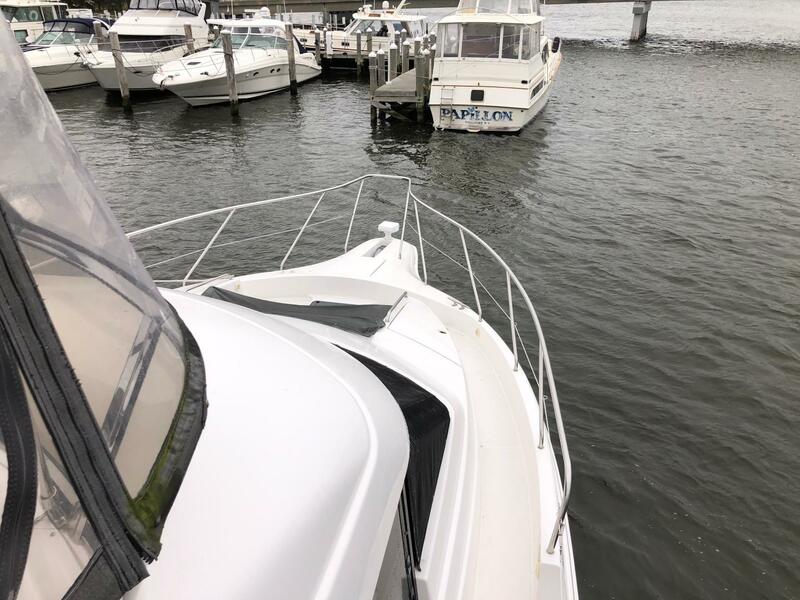 With only 583 hours on her upgraded Cummins 6CTA's, Phoenix Rinsing is a special boat that you have to put on your list. Easy to show in beautiful Westhampton, NY. 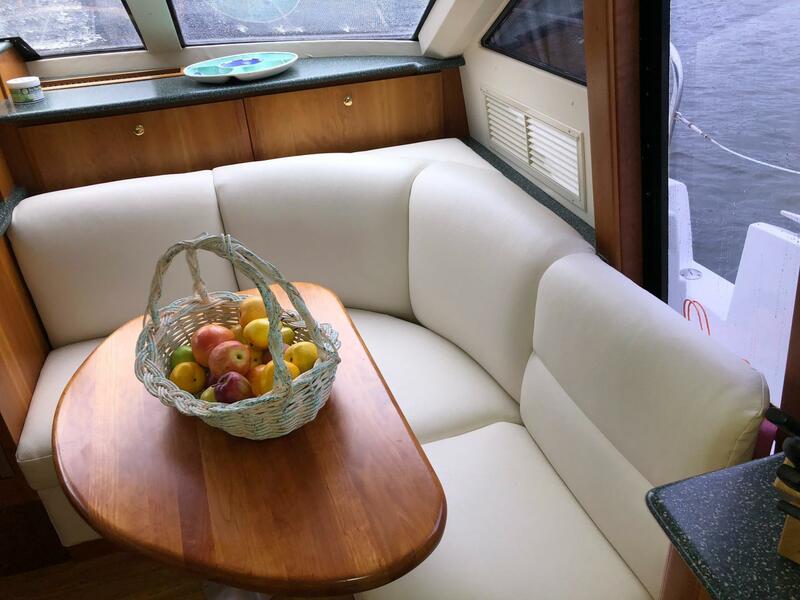 The distinctive profile of the Silverton 453 Motor Yacht accentuates the innovative approach to providing a very spacious interior volume, without sacrificing exterior livability. 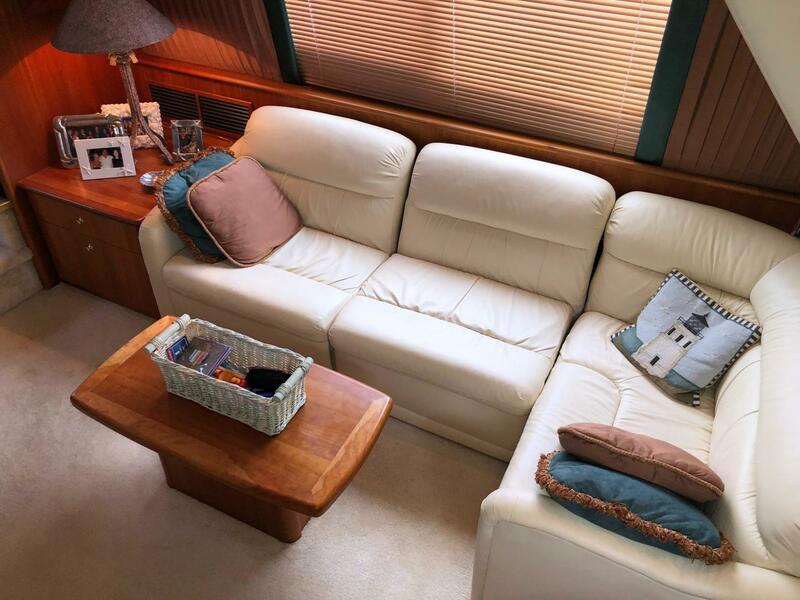 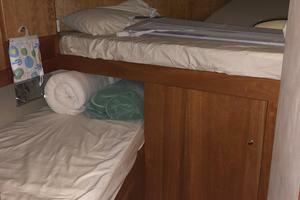 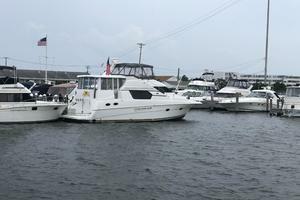 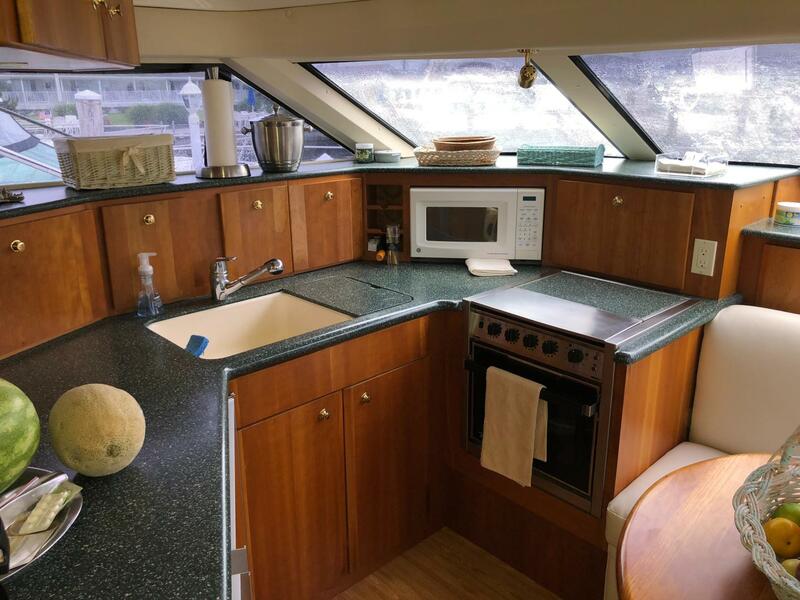 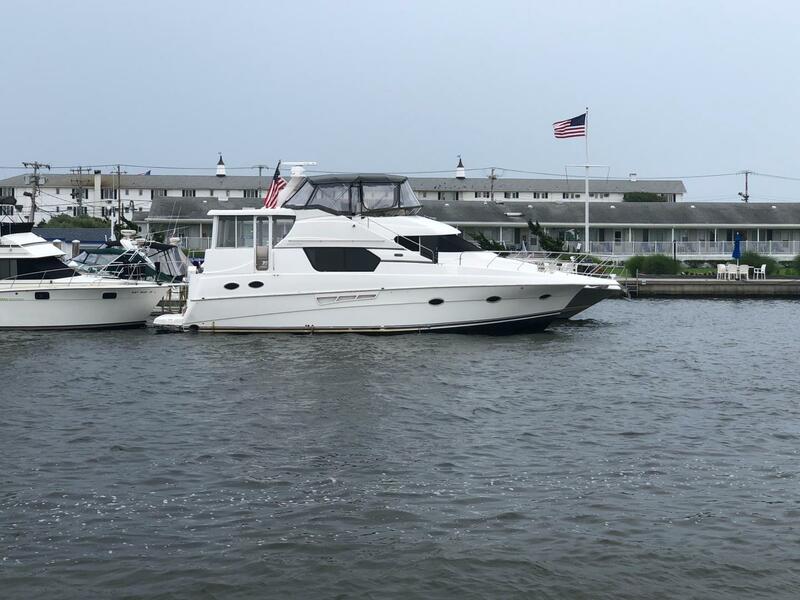 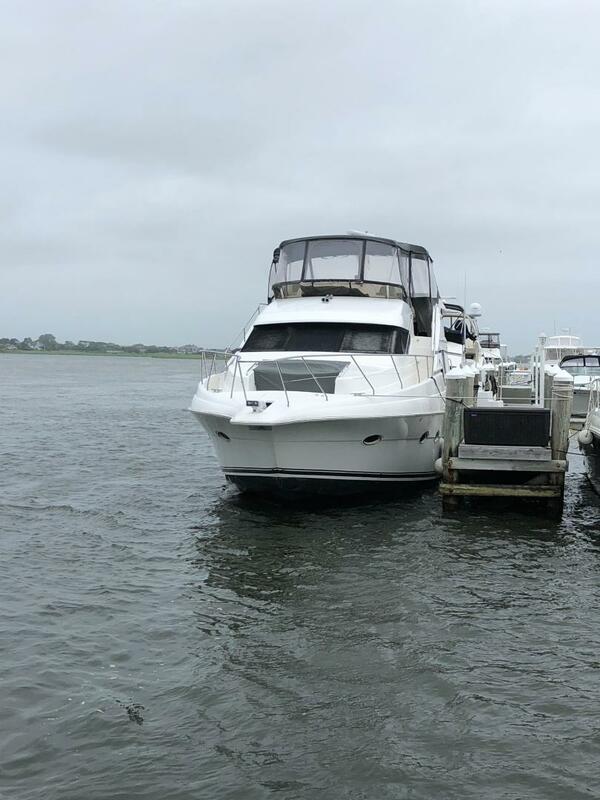 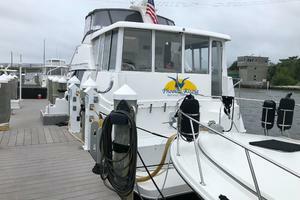 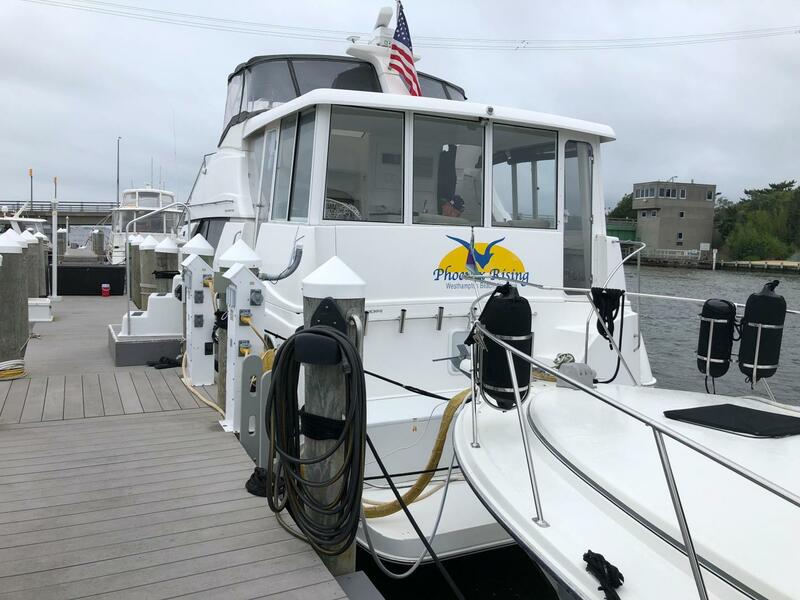 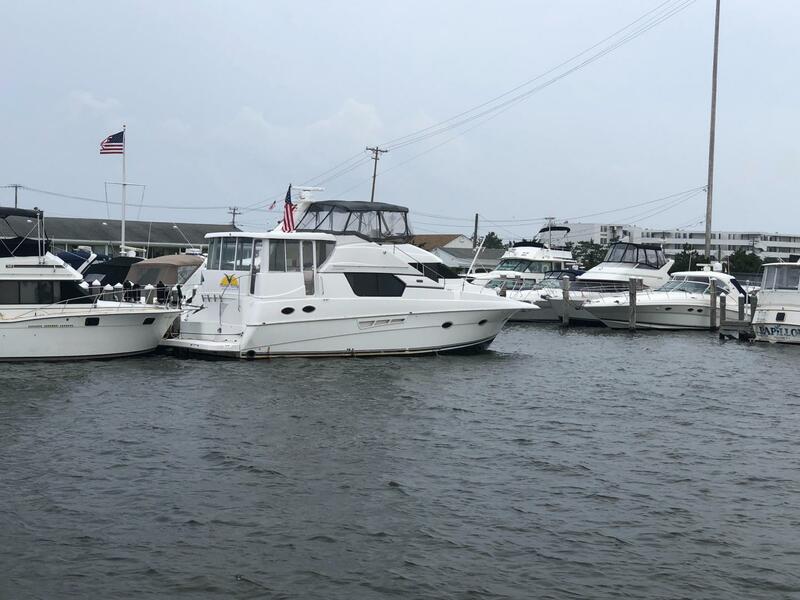 Three full staterooms in a split plan offers complete owner privacy, and extensive guest or family quarters, complete with two heads - the owners' even has a tub. 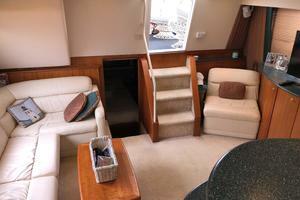 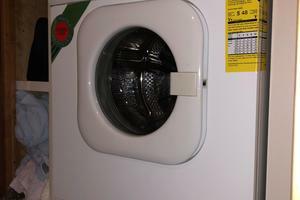 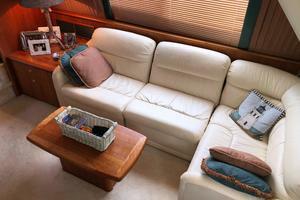 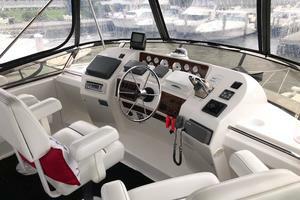 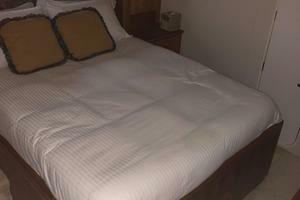 The interior is finished in rich fabrics and warm cherry woods, and is equipped with a stereo and television. 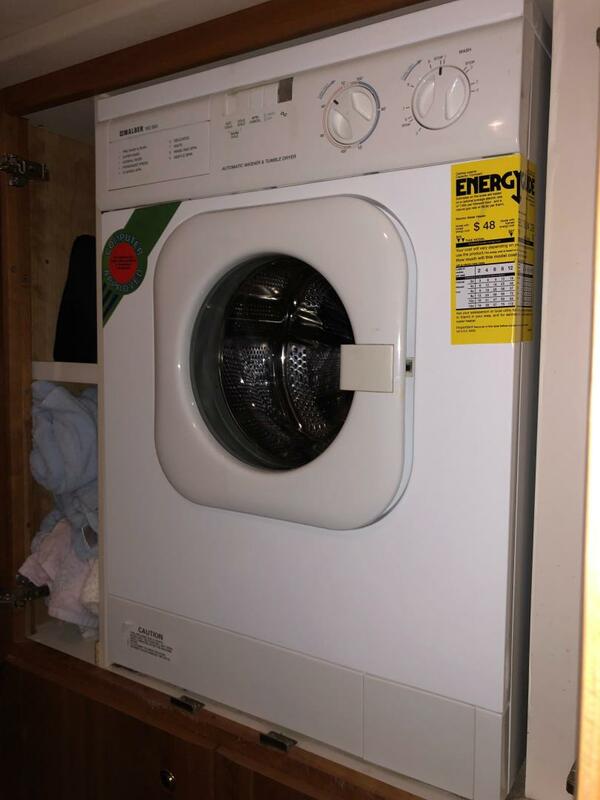 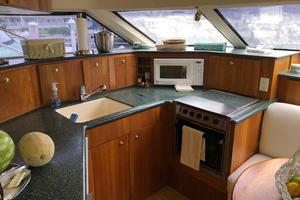 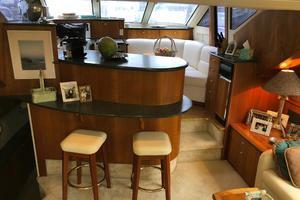 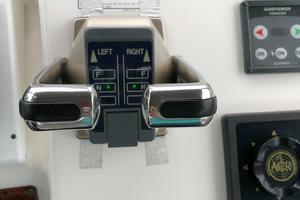 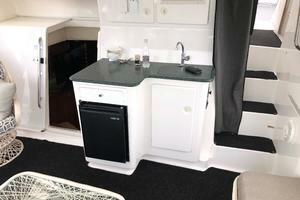 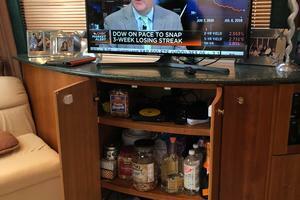 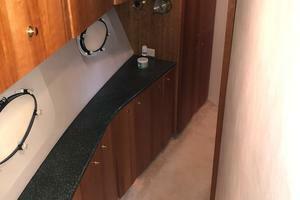 Top of the line appliances are strategically placed in the Corian-covered galley. 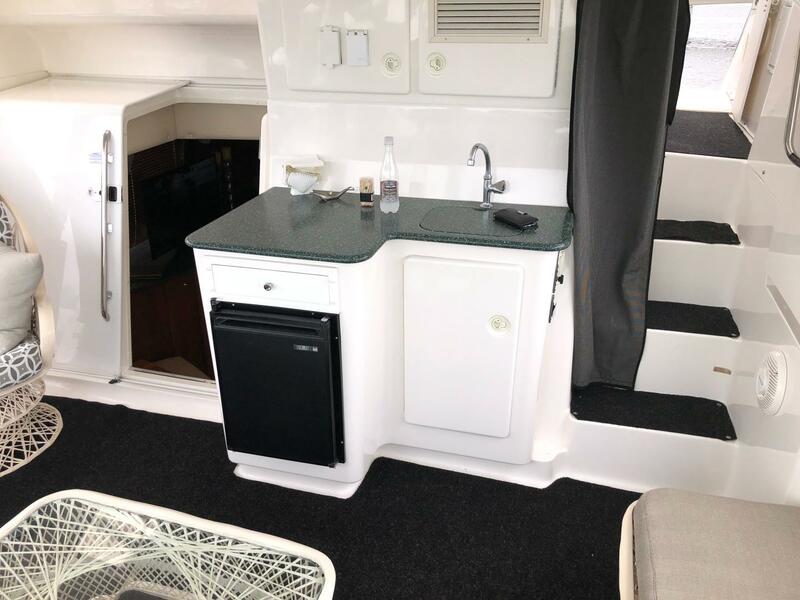 The chef has all the storage and space needed to cook for the family. 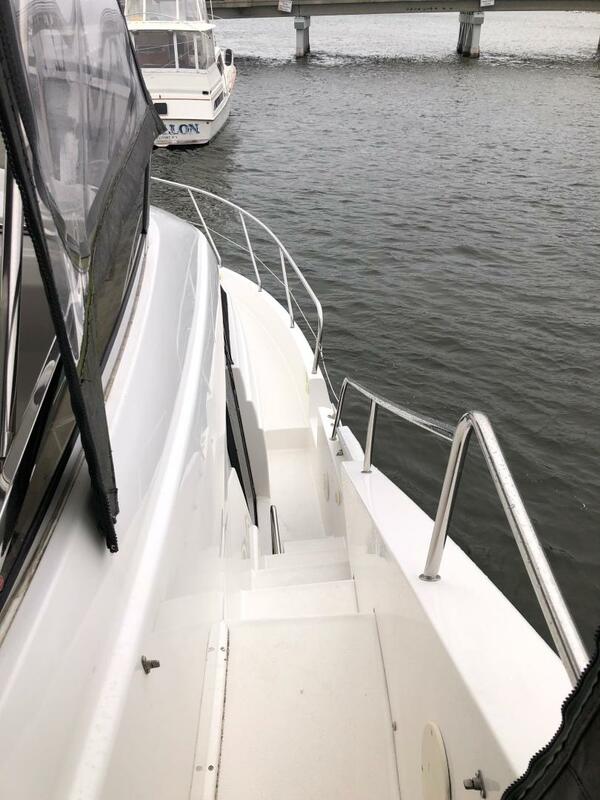 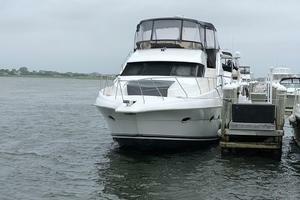 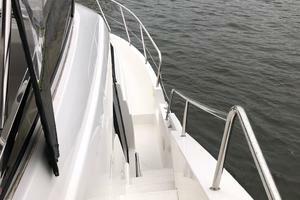 Above, the enlarged flybridge is reached from the innovative “SideWalk” bridge steps. 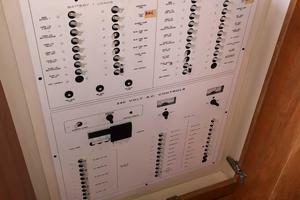 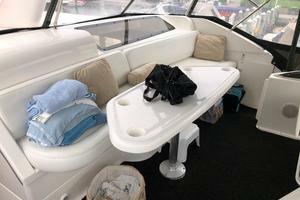 Plenty of seating for all the crew is available, and space for mounting electronics is extensive. 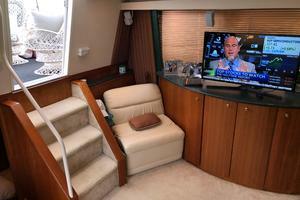 Excellent visibility enhances maneuvering, and a few steps down brings passengers to the enclosed aft deck. 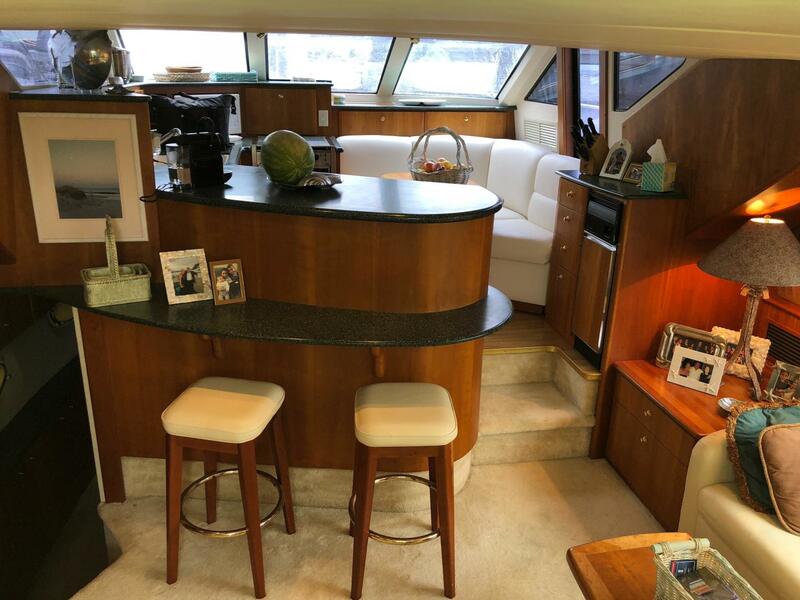 The aft deck is perfect for entertaining with its full wetbar, and direct access to both the main salon and aft swim platform.